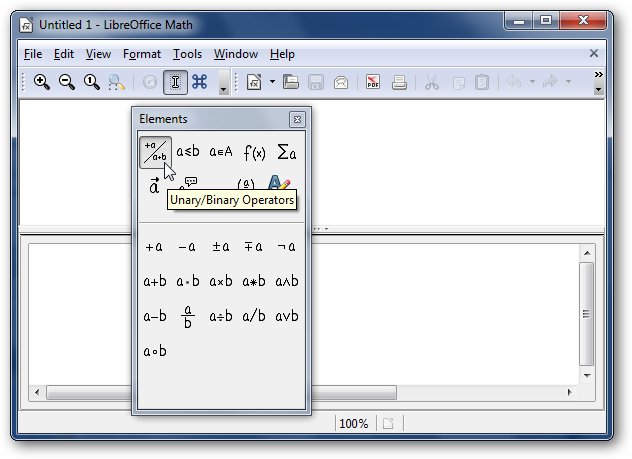 LibreOffice is an open source office suite originated from Open Office. Oracle’s purchase of Sun Microsystem caused quite it a bit of tension within the developers. A group later formed the Document Foundation. This group eventually broke away and created LibreOffice. It provides similar features to those of other office suites such as Microsoft Office, Google Docs. 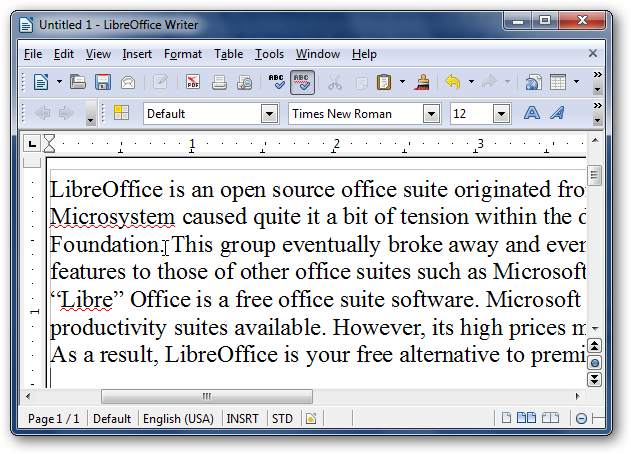 Like its name implies, “Libre” Office is a free office suite software. Microsoft Office is one of the most prevalent office productivity suites available. However, its high prices may shy away those who are on a tight budget. As a result, LibreOffice is your free alternative to premium office suite like Microsoft Office. It is free. You don’t have to pay a dime to use this excellent Office Suite. 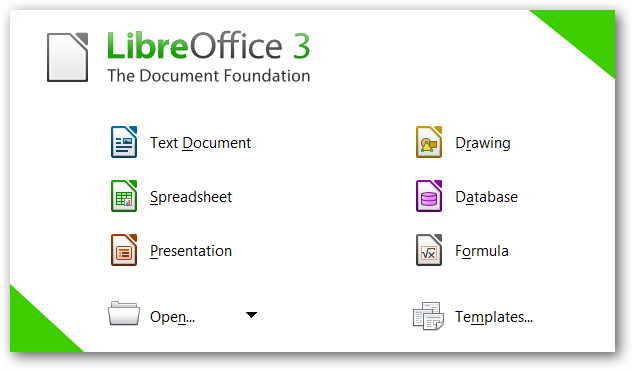 LibreOffice offers many features that are only available on premium office suites. It has a portable version. You can edit your documents anywhere you go and run it via a Flash Drive. It is able to export files to PDF. This is essential because the PDF file is one of the most universally accepted document formats. It is fast, light, and stable. It runs smoothly and doesn’t use too much memory. 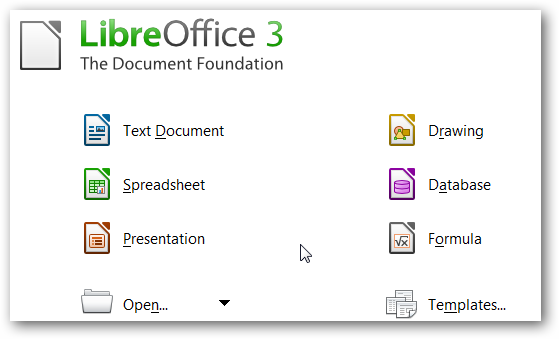 How Does LibreOffice Compare to Microsoft Office? LibreOffice performs remarkably well. The key differences between Microsoft Office and LibreOffice are the user interface and quality of the services. The user interface is more captivating and less cluttered. The ribbon UI in Microsoft office makes it easier to navigate through the features. On the other hand, LibreOffice’s appearance is more archaic and resembles that of older office suites such as Microsoft Office 2003 and older. As you can see in the images below, Microsoft Office’s has a sleeker and picturesque design. LibreOffice also lags behind in the quality of the service. For example, LibreOffice Writer’s default grammar checking tool lacks accuracy and often misses syntactical errors. As you can see in the image below, Microsoft Office detects the error However, LibreOffice fails to do so. Fortunately, you can extend the functionality of LibreOffice by using third-party plug-ins such as Language Tool, which is a relatively accurate grammar checker for Open Office and LibreOffice. When you open LibreOffice, you will see a window that displays the 6 main applications or features. 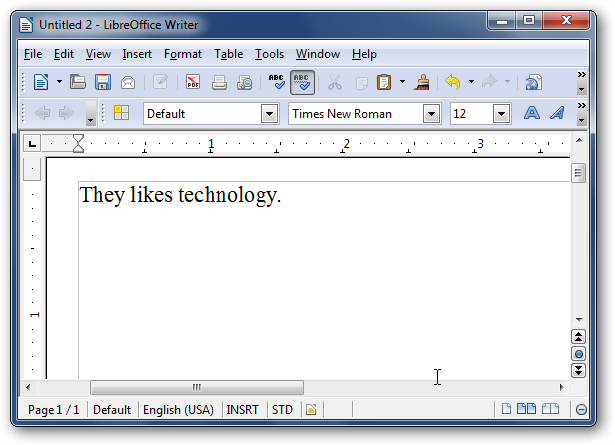 This is the word processor application for LibreOffice. It is similar to programs such as Microsoft Word, AbiWord, Jarte Word Processor, etc. Writer allows you to create anything from letters to complex documents with embedded illustrations and bibliographies. Auto spell checking and auto-completion make word processing much more convenient. Unlike Microsoft Word, Writer mostly detects spelling errors and fails to detect syntactical errors. Fortunately, you can get around this issue by using an extension known as Language Tool. 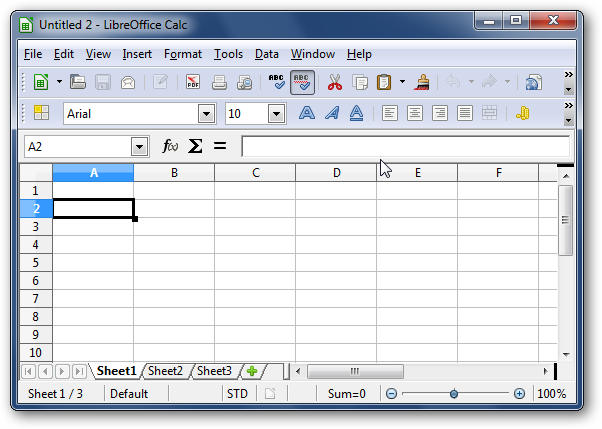 Calc is the spreadsheet program of LibreOffice. It is similar to programs such as Microsoft Excel, Abykus, Spread32, etc. It is an ideal alternative to Microsoft Excel. It allows you to effectively analyze and manage your data. Calc is also a good application to use to create spreadsheets for inventories, timesheets, grade books etc. Like Excel, you can do simple math and calculate averages, multiply, and divide. Impress is the presentation software of LibreOffice. This program is extremely similar to Microsoft PowerPoint. 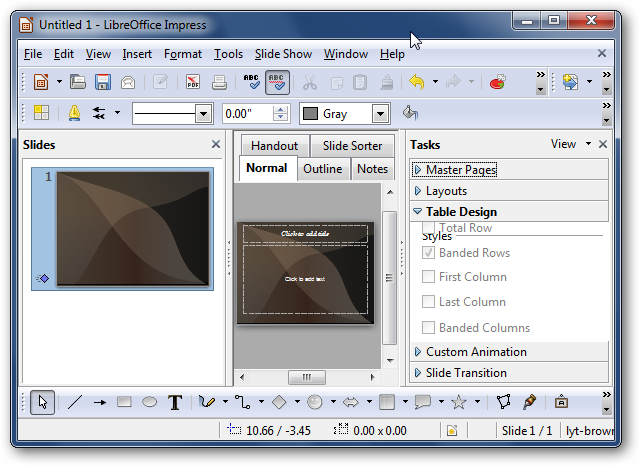 If you are already used to using Microsoft PowerPoint to create presentations, you will have no problem using LibreOffice Impress. Impress allows you to create unique presentations to capture your audience’s interest. One the main differences between Impress and Microsoft Word are the template designs. PowerPoint’s templates are more picturesque and appealing. However, Impress still gives you plenty of tools to create captivating visual presentations. 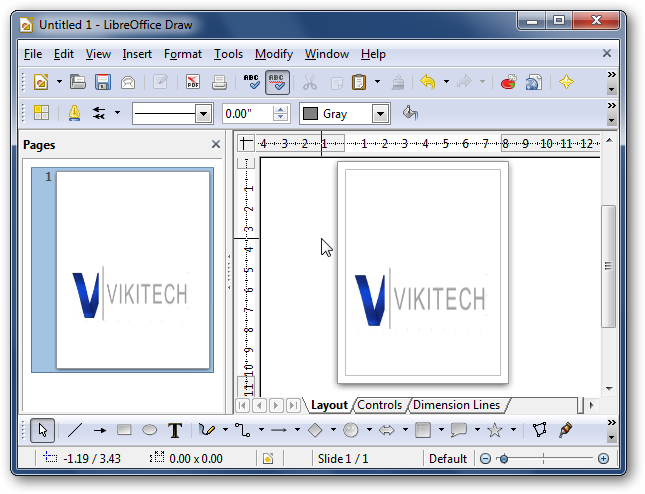 LibreOffice Draw is a vector graphics editor like Microsoft Visio. This program is intended for more advanced photo editors who are more accustomed to vector graphics. Microsoft Visio premium is an expensive program that nearly costs $1000. Thus, a free program like this is not only a great asset, but also saves you a fortune. 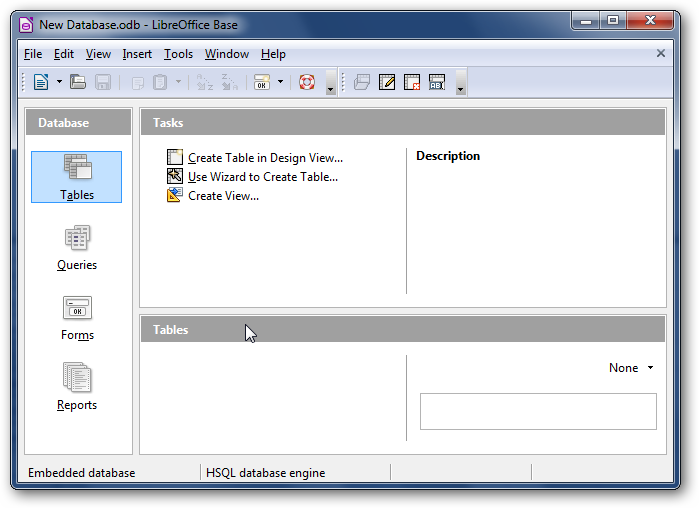 This is the database management program in LibreOffice. It is similar to Microsoft Access. It allows you to create the right database for your applications. You can also import your data from other database sources such as Oracle, MySQL, and Microsoft Access. Math is a simple equation editor that lets you create mathematical, chemical, electrical, and other types of equations. Is LibreOffice Really Worth Your Time? It is certainly not worth your money because of its free. While it is true that LibreOffice doesn’t provide the same quality as Microsoft Office, it still provides a plethora of useful features. The free version of Microsoft Office, Microsoft Works, doesn’t come close to it. If you have the portable version on your USB flash drive, you can edit your documents anywhere you go. While LibreOffice is not necessarily worth your money, it is definitely worth your time! When it comes to pricing, LibreOffice definitely wins by a landslide. By offering an array of word processing features, it is nearly comparable to premium software. When it comes to quality, Microsoft Office is the winner. 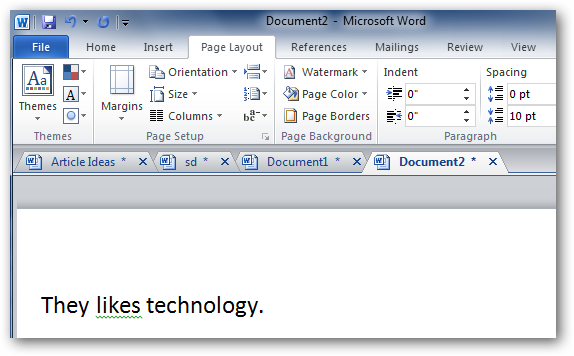 Microsoft Office provides enhanced features that LibreOffice lack.